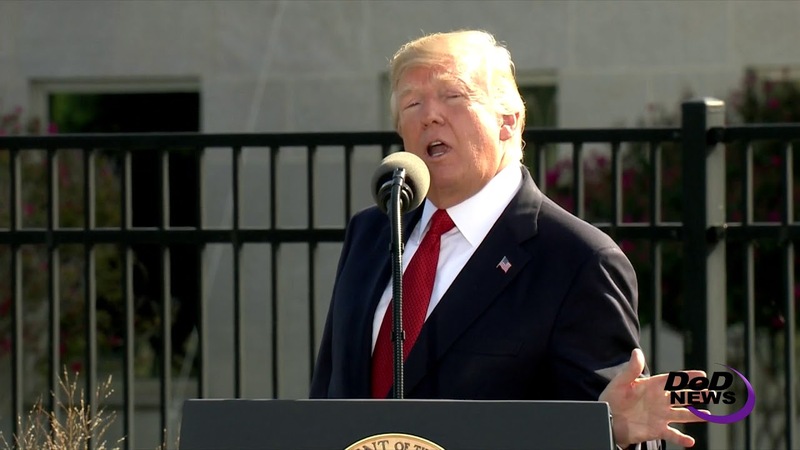 When the United States came under attack on Sept. 11, 2001, Americans turned their sorrow “into an unstoppable resolve to achieve justice” in the names of the fallen, President Donald J. Trump said at this morning’s Pentagon 9/11 Memorial observance. “It was the worst attack on our country since Pearl Harbor, and even worse because this was an attack on civilians -- innocent men, women, and children whose lives were taken so needlessly,” the commander in chief said. 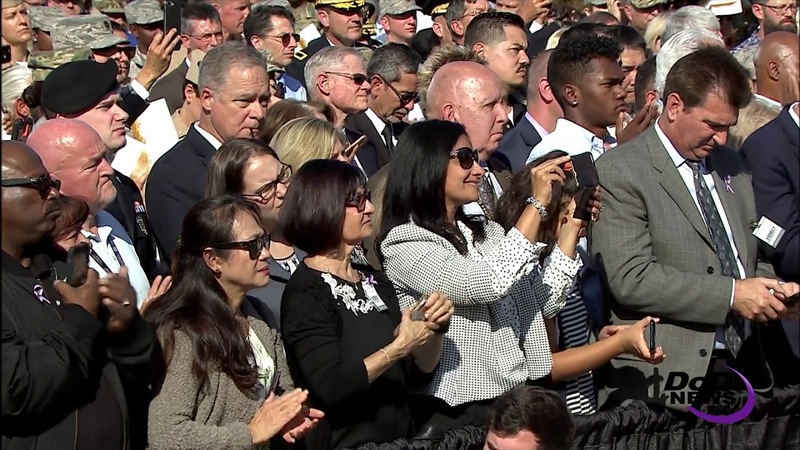 Trump noted that for the more than 300 family members at the Pentagon anniversary today, not a single day goes by when they don’t think about the loved ones stolen from their lives. “Today, our entire nation grieves with you and with every family of those 2,977 innocent souls who were murdered by terrorists 16 years ago,” he said. Among the 184 Americans who perished at the Pentagon were young enlisted service members, dedicated civil servants who had worked In the Pentagon for decades and veterans who served the U.S. in Korea, Vietnam and the Middle East, he said, adding that all of them loved their nation and pledged their lives to protect it. “That September morning, each of those brave Americans died as they had lived: as heroes doing their duty and protecting us and our country. We mourn them, we honor them, and we pledge to never, ever forget them,” Trump said. Trump also paid tribute to those who boarded American Airlines Flight 77 at Washington Dulles International Airport that morning, minutes before it slammed into the Pentagon’s west side. “Every one of them had a family, a story and beautiful dreams. Each of them had people they loved and who loved them back. And they all left behind a deep emptiness that their warmth and grace once filled so fully and so beautifully,” he said. Woven into the American flag is the story of the nation’s resolve, he said. “We have overcome every challenge -- every single challenge, every one of them -- we've triumphed over every evil, and remained united as one nation under God. America does not bend. We do not waver. And we will never, ever yield,” Trump said. At the Pentagon 9/11 memorial, he said, with hearts both sad and determined, the nation honors every hero who keeps Americans safe and free, and they pledge to work together, to fight together, and to overcome together every enemy and obstacle in the country’s path.